It was originally an Arabic tower that gave access to the city. 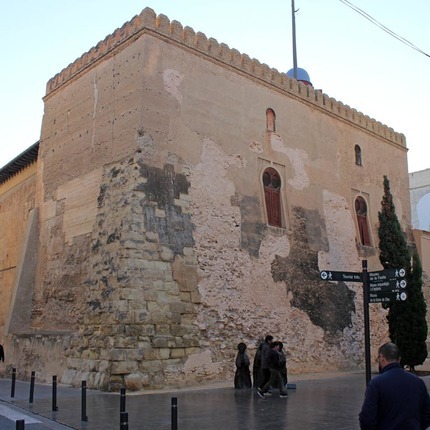 Later an almudín was built next door, which was a building to store and weigh the wheat before taking it to the mills. In the XIX Century it became home to a Masonic lodge foundation, and was decorated with frescos depicting daily life in ancient Egypt. Inside are preserved pottery vessels, Roman mosaics, lamps and other antiques. Visit: With ticket. Check prices and schedules in Tourist Office of Elche.